The US is home to some of the most prestigious universities in the world. Universities in the United States offer a huge variety of English-language courses, various speciality degrees and excellent research in a diverse, international environment. The USA, like always remains the top priority for PhD Students to pursue their research work and it's not hard to see why. Since US has many modern facilities, world class universities and good professors, most of the students prefer to pursue their research work from the US. The US comes on top time and again, no matter what ranking system you use, and the US is home to 75% of the top 20 institutions in the world. Any student, who wants to learn more and place special focus on his major subject after completing his master's degree programme, can look for the higher degree, PhD, a Doctorate in Philosophy degree in USA. Before applying for PhD programme, students have to complete a master's degree programme. However, this is not compulsory in all cases, as many competent students get the opportunity to get PhD admission after bachelor's degree with exceptional coursework records. 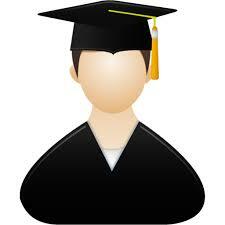 The University or the Heads of the University departments can decide the PhD admission in these special cases. The duration of US doctoral degree varies from minimum period of three years to a maximum of six years. The duration of PhD degree course depends on field the students choose, ability of the students and complexity of the research work. Doctorate degree in the US universities is awarded after submitting a research thesis as result of a significant hard work of the scholar on the respective subject. Pursuing an advanced degree, PhD degree in the USA, enhances the career opportunities of students. 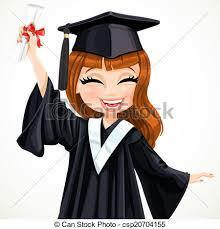 A PhD degree holder in the US is recognized as a subject expert and hence, it is a prestigious degree. Those who are interested in teaching in the US universities and higher-level schools and high-status institutes, acquire Doctoral degree. After acquiring the doctoral degree, the respective university will confer on the scholar an honorary doctorate degree and the scholar can have the title of 'Doctor'. There are about 1700 Universities which offer PhD in the US with a wide range of choice and flexibility to the students. Another reason is the quality of these institutions which is a great pull. Since US has many modern facilities, world class universities and good professors most of the students prefer to study their research work from the US. Therefore following are the general requirements that applicant must meet in mind while applying to the US universities for PhD program. The application procedure to apply for PhD program in the US is the same as that of master's program. This process also includes having a professor recommend the student's profile. We assist and guide at each and every step till you get visa. Migration Ideas offers best service in documentation and our processes are standard & process consultants are best at their Job.